– Seth McGowan: The 2020 Mesquite, TX Poteet RB, and Sooners offer, will be heading up to Norman with his pops this Saturday for an unofficial visit. Along with Oklahoma, McGowan also holds offers from other programs like Arizona State, Arkansas, Colorado, Nebraska & Oklahoma State. However, it sounds like the OU offer may have been quite an eye opener for him. McGowan and Coach Boulware have been working to build a relationship. They are in touch with each other quite often it sounds. At this point McGowan says he is looking to take his time so he can be as decisive as possible with his decision. However, Sooners have their chance to really separate themselves at this early point in his recruitment this weekend. *Marcus Stripling: Marcus confirmed with us that he is going to be at the Sooners spring game. Stripling was hoping to make it up for one of the junior days but wasn’t able to do so. Getting him back on campus will be big for the Sooners. *Another big name that will be at the spring game is 2019 OL, Jack Buford (St. Louis, MO). Buford recently visited for the jr day and before that he visited for the TCU game in the fall. Oklahoma is going to be in this one till the end. *The spring game this season is going to be massive. If the environment is what Riley is hoping for (and you can bet Riley will have some marketing tricks up sleeve) I could absolutely see Oklahoma landing some commitments. *A guy to keep on eye on is 2019 DB, Lewis Cine. Cine is one of the top rated DBs in the country, holding offers from the likes of Penn State, Ohio State, USC, Clemson and others. – Javonne Shepherd: I Spoke with a source close to the 2019 OT, (Houston, TX) and was told that Javonne already has in his mind a group of three to five schools which are standing out and that the Sooners are “one of those top three favorites”. Shepherd still has a few visits he’ll be taking including visits to Georgia, USC and Alabama. I don’t anticipate a decision coming before the summers. – We were able to get some sourced feedback on the Derek Green to get a sense of where the staff feels they stand. Brandon was able to connect with Green directly. He will have note up from what Green told him. *I was told that Green’s relationship is extremely strong with coach Ruffin McNeil. McNeil was the first person to offer Green when McNeil was at UVA. I’m told McNeil is like a second father to Green. *In terms of the way in which the decommitment happened and the lack of communication from Green, it sounds like it was just a small town kid that didn’t really know how the go about doing something like that. *The sense here is that Green decommitted, more than anything, to go through the process. When he committed to Oklahoma he wasn’t a highly coveted recruit. That has since changed. – Theo Wease: I was able to catch up with Theo this week. Wease is planning on committing this spring and he told me that he has two visits planned. He has scheduled visits to Norman and Alabama. While there has been plenty of buzz about Wease and Texas A&M, interestingly enough, he did not mention a scheduled visit to College Station. – Avontae “Tae” Williams: The Sooners recently offered the 2020 DeLand (FL) Defensive Back. Williams just so happens to be good friend with Bookie. 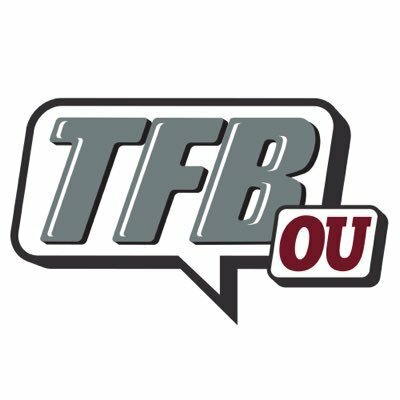 Bookie tweeted at Williams after he tweeted out his OU offer. You know the deal G…. When asked about his relationship with Bookie, Williams said, “That’s my brother right there. He is talking up OU and saying it’s a great place to go to school and play. “This is yet another in a long line of OU targets that Bookie has a strong relationship with, and he seems to be working on. Williams, who is committed to Miami, says he is working on setting up an unofficial this spring. – Sooners OL coach Bill Bedenbaugh continues to be a workhorse on the recruiting trail. One of his latest offers is 2019 offensive tackle, William Harrod out of Fort Washington (MD). Oklahoma is really working on a pipeline in the DMV area and have several targets that they have a decent shot at, Harrod included. Harrod and I briefly spoke the other day. He said that he and Bedenbaugh are “in constant communication”. Harrod says he is speaking to his parents about visiting OU in the near future. Normally we keep the team notes on the donor board but spring ball is just around the corner. So, here a few we edited notes we felt would be ok to share on our open platform. *If all goes well, Bookie is going to be on the field. Per a source, “Bookie is going to take someone’s spot”. He’s currently playing the nickel spot in player led 7v7. *Was told, “Ronnie Perkins is a beast”. *Was told that Miguel Edwards is currently playing cornerback and the word is that the S&C staff love him. Heard he has already put on 10 lbs of muscle and looks great in 7v7. It’s going to be tough to take anyone’s spot on the outside but Miguel is a guy who keeps getting mentioned. *Jaquayln Crawford was a name we heard early on. People raved about his speed. But as of late, he’s been nursing a hamstring issue. So, we probably won’t hear much more about him till spring ball. *No surprise because we’ve heard it before but source said, “Rambo is going to be a break out star”. Look for him to come on this spring and then in his redshirt freshman season.